5 Exhilarating, Suspense Filled Stars!!! Uncovering the truth behind an old school friend’s death, turns out to be a very dangerous task for John Savage and Tannaz. With every clue, more questions arise. Will Savage and Tannaz uncover the truth in time, or will they find themselves in an impossible situation? 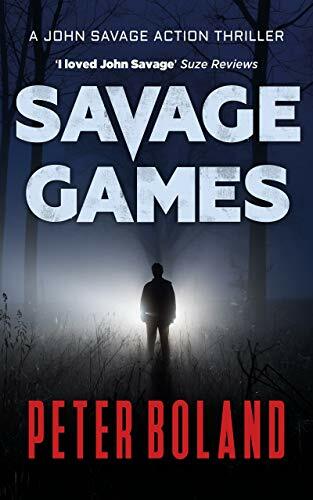 I absolutely loved Savage Games; Peter Boland has pulled out all the stops with this story. From start to finish he holds you captivated and throws you into the world of John Savage and his investigative adventures. This story for me felt more compelling than the first book, I feel Peter Boland has definitely grown with his writing in this second book. Tannaz is an awesome character, nothing scares her, nothing stops her from saying exactly what she is thinking, and although sometimes reluctant to venture into things she dislikes, she always puts it aside to get a job done. I love the rapport both she and Savage share, and her skills with a computer are epic. Savage is a very interesting character, since the first book his character has developed tremendously, and I love the twist Peter Boland adds to this story with Savage and his PTSD; It gives this story a unique and intriguing element, that stands out from other books. 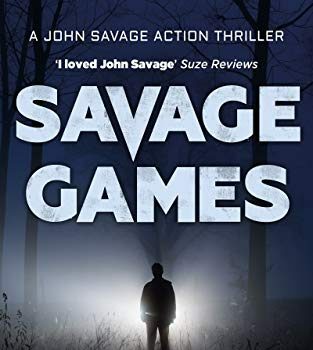 If you love reading action thrillers, then the John Savage series by Peter Boland is a must read. Although you could possibly read this second book as a standalone, I’d recommend reading them in order, to get the full enjoyment and experience of this story.